With a healthy uneventful pregnancy, Kelly expected the birth of her second child to be free of complications. But after 24 hours of labor, Kelly began to hemorrhage and lost 40 percent of her blood volume. She was rushed to the operating room and received four blood transfusions. Unfortunately, stories like Kelly’s are not uncommon and don’t take a vacation during the summer months, a time when blood donations are typically slower. 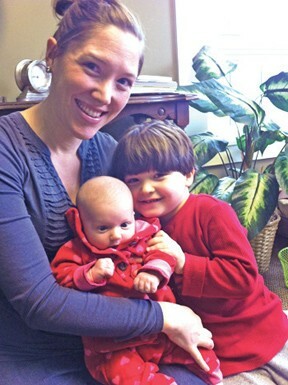 Kelly, a blood recipient, is pictured with her two children, Sybil and Leo. This summer, Blood Bank of Delmarva will hold the 12th Annual Summer Blood Challenge from now to September 13. It was created to help sustain the blood supply during the summer months. Registered organizations will earn points based on blood donations, first-time donors and more. This year’s grand prize is a $5,000 TD Bank Visa Gift Card, along with $2,000 and $1,000 TD Bank Visa Gift Cards as second and third prizes. Two $50 gift cards will also be awarded to lucky participants each week throughout the Challenge. All donors must fill out a Hero Card when donating to ensure accumulation of points and eligibility for prizes. Last year, a record 241 companies participated in the Summer Blood Challenge. This resulted in 14,308 blood donations. 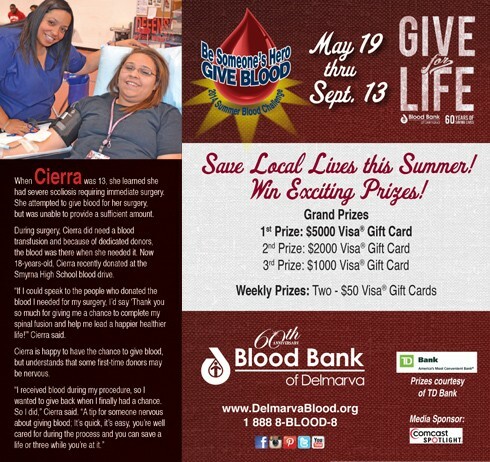 Blood Bank of Delmarva is a non-profit community service organization that provides blood and blood products to 16 hospitals in the Delmarva region. More than 83,000 blood donations were needed last year for about 20,000 patients across the Delmarva Peninsula. 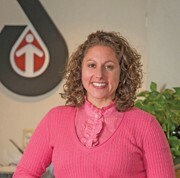 For more information about Blood Bank of Delmarva, to schedule an appointment, or to make a financial contribution, visit www.DelmarvaBlood.org, call 1 888 8-BLOOD-8 or download BBD’s free mobile app on your Android or iPhone. Next Story → Obstructive Sleep Apnea In Children. Let’s do something about it before it is too late!